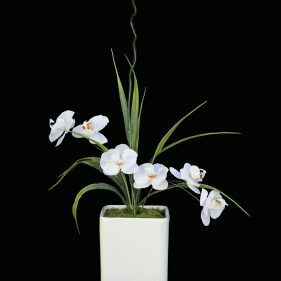 A beautiful faux orchid. 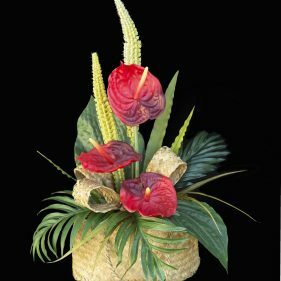 Add a touch of luxury to your decor. 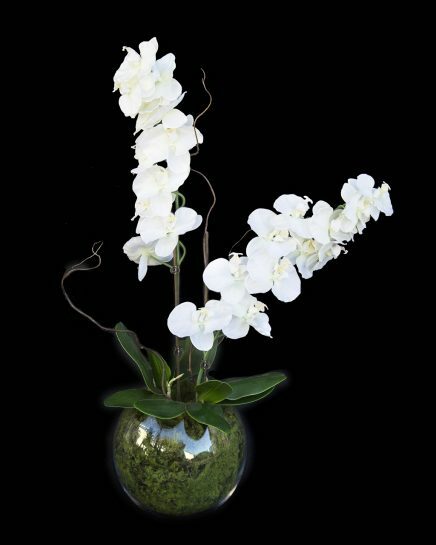 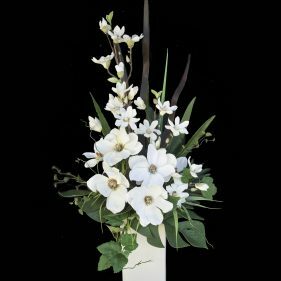 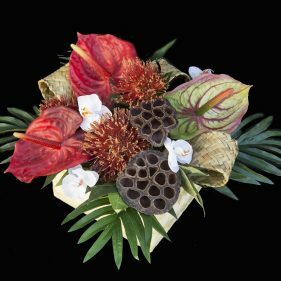 Elegant & exotic in a glass bowl, in a bed of faux moss giving it a natural appeal.